Rose otto (attar of rose, attar of roses) or rose absolute, better known as rose oil, is the essential oil extracted from the petals of various types of rose. 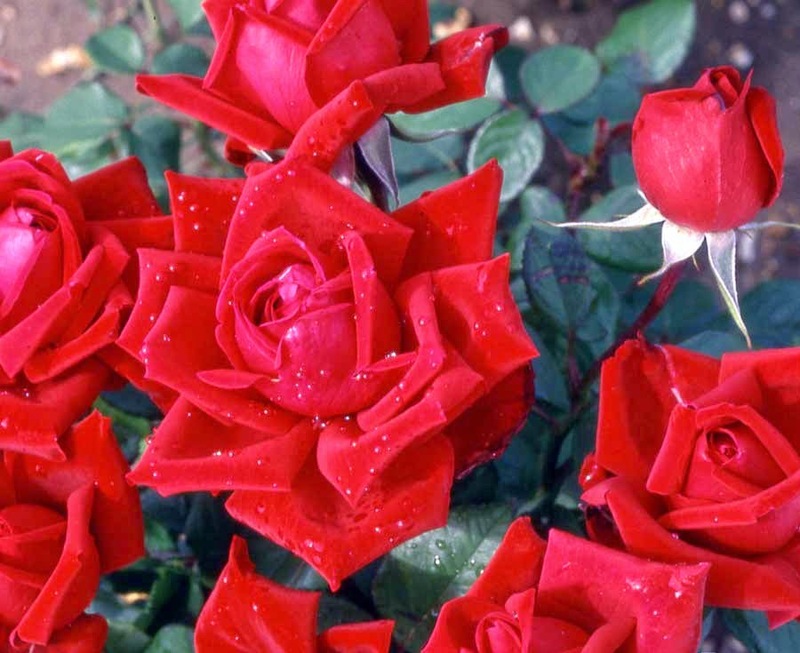 Rose oil contains the rose plant's aromatic compounds, which are thought to possess healing properties, therefore, rose oil is commonly used in aromatherapy. Anxiety and Stress Relief - When rose oil is applied topically, studies prove it decreases the breathing rate and lowers the blood pressure, for those who suffer with anxiety and from stressful situations. Menopausal Symptoms - It's been reported that women who received relaxing massages with a rose oil blend (including lavender, jasmine, rose geranium oils), weekly, significantly felt better and saw greater improvement in menopausal symptoms. Mild menopausal symptoms appear as early as 25 years of age. Introducing massages using rose oil, even at that young age, is great therapy for healthy living. Menstrual Cramps - When rose oil, with lavender and clary sage oil (and almond oil - never apply essential oils to the skin without a carrier oil), is topically applied to the abdominal, research showed that only a few drops were needed to decrease the severity of menstrual cramps. Aromatherapy - For a zen-like atmosphere, rose oil can be used in an aromatherapy diffuser or vaporizer. Also, sprinkling a few drops onto a cloth or tissue will create a peaceful state of mind, when inhaled. Has the scent of rose benefited you in any of the above situations, or, one that isn't mentioned? Share with us in the Comments.